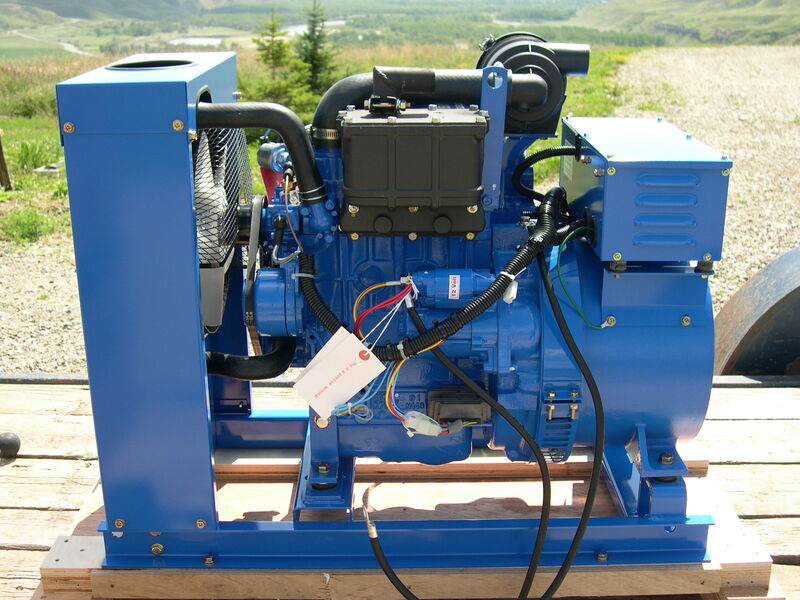 Eco Diesel Solutions Canada is proud to be an authorized Northern Lights generator dealer. Northern Lights Generators are known world wide for their high build quality, incredible reliability, fuel efficiency and their easy of service. 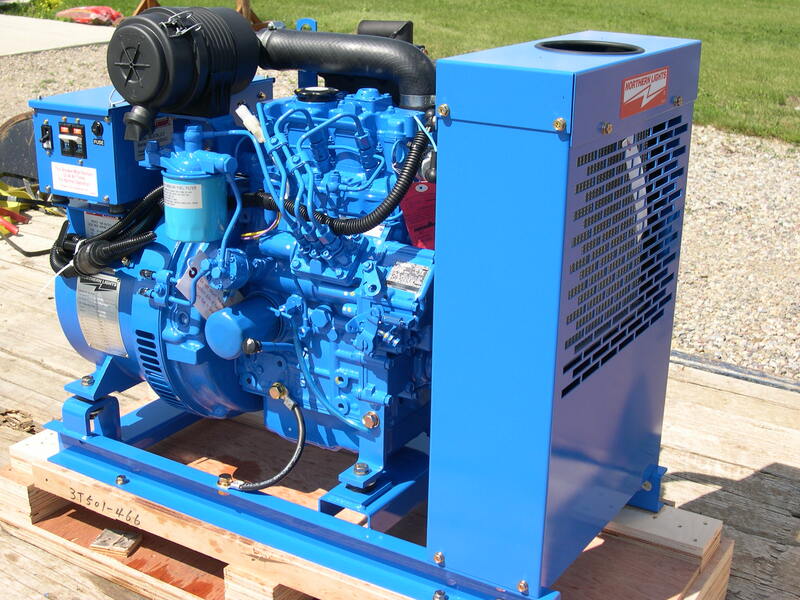 If you are looking for or in need of a prime duty diesel generator, be sure to check out what Northern Lights can provide. With an incredible selection of diesel powered gensets ranging in output from 6 kw - 200 kw, Northern Lights most likely will have a generator to fit your needs. Pictured to the right is the smallest prime duty generator in the Northern Lights line up - The NL673L3 6 kw model. These smaller prime duty generators feature a heavy cast iron exhaust manifold with built in muffler that allows them to operate much quieter than their competitors. As a result of this thoughtfull engineering, only an exhaust flex kit and straight muffler pipe are needed to exit your generator shed. No aditional muffler is needed! 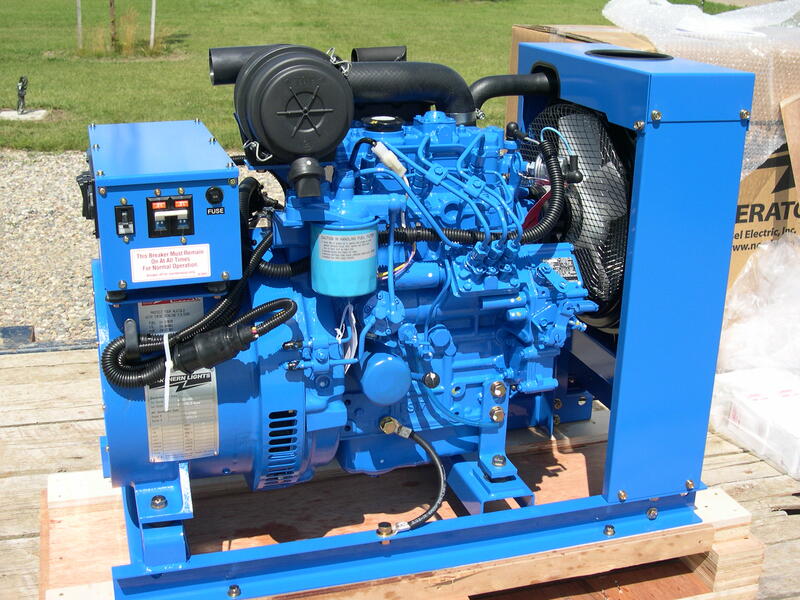 Northern Lights line of small diesel generators are available in 6 kw, 9 kw, 12 kw, 16 kw, 20 kw and 36 kw output sizes. All Northern Lights generators from 6kw - 20kw feature the Japanese made Tayio alternator which has been described as the lexus of AC alternators. There is a reason why Northern lights is the best selling marine generator in the world and why they are used so extensively in luxury yachts world wide! They have been proven to provide very ecenomical, clean and reliable electrical power with exceptional ease of maintinance. If you have any questions regarding the Northern Lights product line please feel free to contact us. You may also visit the Northern Lights website where there are many on-line brochures to view by clicking on the link below or can click on each particular size listed below and see a full size brochure for that particular model. Once you are viewing a brochure, if you want to go back please use the back arrow on the upper left side instead of the X or you will loose the website.